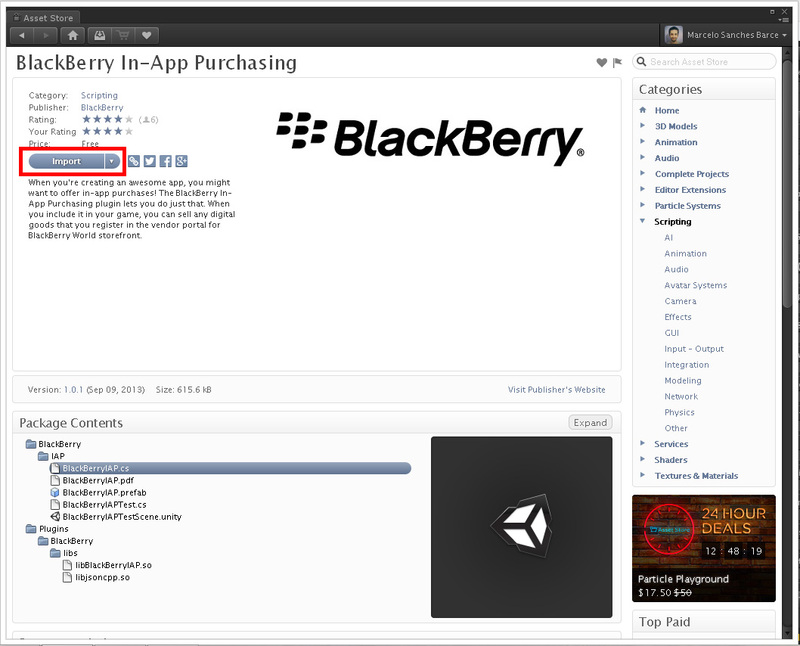 In this tutorial, I will teach how to integrate BlackBerry’s official In-App Purchases plugin for UNITY. Read EVERYTHING with attention, and pay special attention to the RED paragraphs, which will provide you vital information and save you from future trouble. Non-consumable: is for permanent products which will be kept save at the player’s account, for instance: characters. Consumable: is for consumable products, that may be used just once, like a coin pack. If the user uninstall the app, he will lose that product. License Model for BlackBerry OS and PlayBook I recommend you using “Static”, that is the most common model (it’s the same used in Google Play and iOS App Store) and honestly, I have no idea on how to use the other models, so I can’t risk recommending them. 1.5 – To complete the creation of this product, click Save. 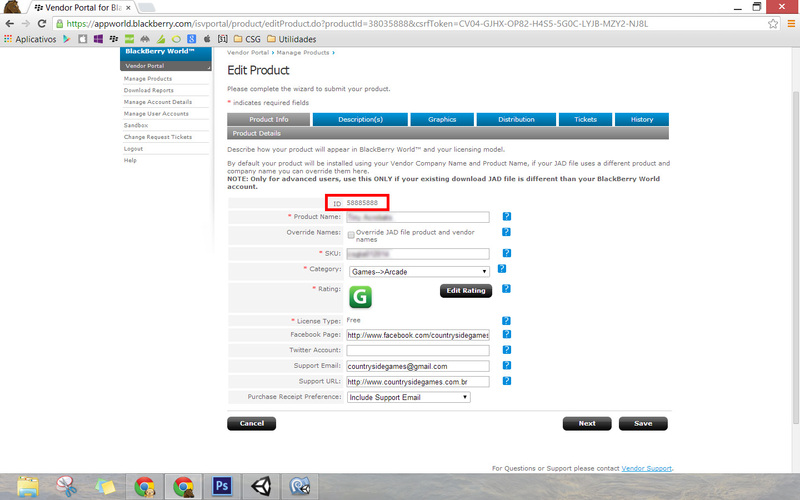 If you want to create a few more before continuing this tutorial, click “Save and Add Another” and fill the form again. 3.5 – Then comes the localTesting variable, which must be set as TRUE while you’re testing the IAPs offline. 3.6 – At the function Start you delegate events from BlackBerryIAP.cs (which is inside the BlackBerryIAP gameObject at the Demo scene). For instance: the PurchaseSuccessful function is delegated to the PurchaseSuccesfulEvent event, which is triggered everytime a purchase is completed. 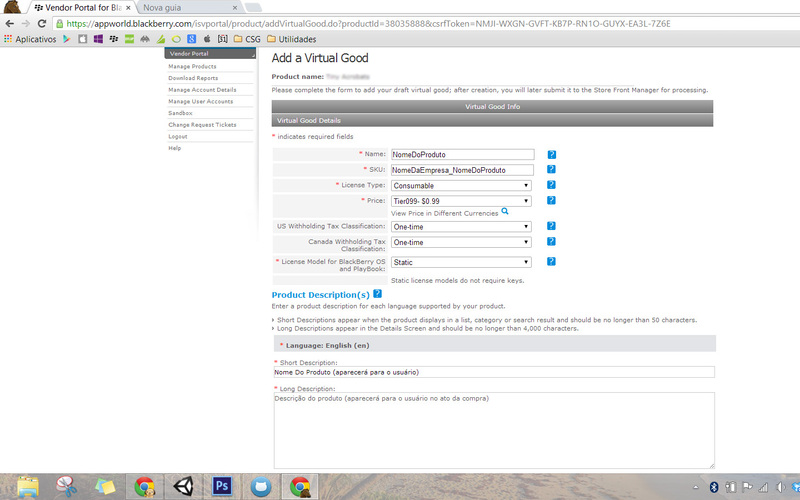 3.7 – At the OnGui function, you will see Demo scene’s buttons (“Purchase SKU 1”, “Purchase SKU2”, etc). 3.9 – When the purchase is completed, the PurchaseSuccessfulEvent event from BlackBerryIAP.cs is triggered, then the PurchaseSuccessful function is called. 3.10 – From inside the PurchaseSuccessful function, you must “tell” WHAT happens when the product purchase is successful. The args.DigitalGoodSku variable inside this function is the SKU string from the product that was purchased. -ExistingPurchasesSuccessfulEvent, which loads the list of every product that the user purchased. -GetPriceSuccessfulEvent, which gets the product’s price. Use those events according to your project’s needs. This is all you need, now check the test methods below. -Set the localTesting variable from the BlackBerryIAPTest.cs class as TRUE. -IF BlackBerry World is up to date, you will see your game’s download page and you will be able to download it. But it can take 2 hours after uploading the game, so if it’s not available right now, give it some time. -After downloading the game, you just need to make the in-app purchases using the account you created at the Sandbox page, you won’t be charged for that. REMEMBER: the BlackBerryIAP.cs class must be ALWAYS inside a gameobject named BlackBerryIAP (it can’t be different), which must be ALWAYS inside the scene where your user will make the purchases, otherwise, the PurchaseSuccessful event won’t work and the user won’t receive the product. I hope to have helped you as I know it’s really hard to profit from BlackBerry plaftorm. 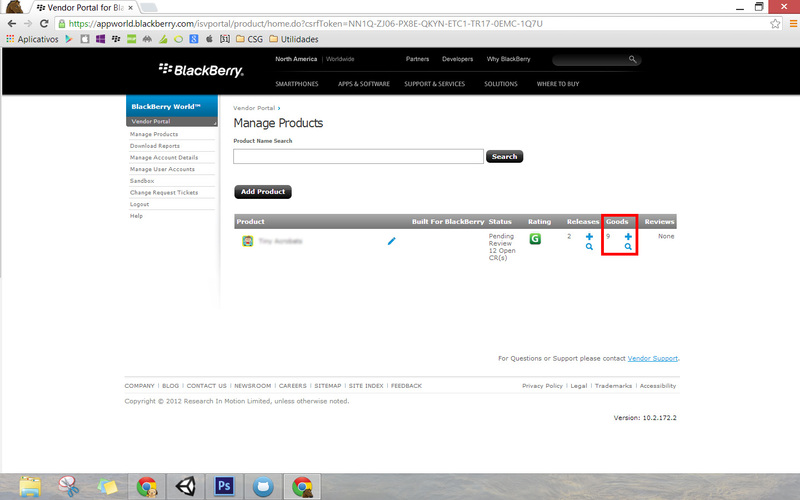 BlackBerry gave us a great free plugin, but a really poor documentation.